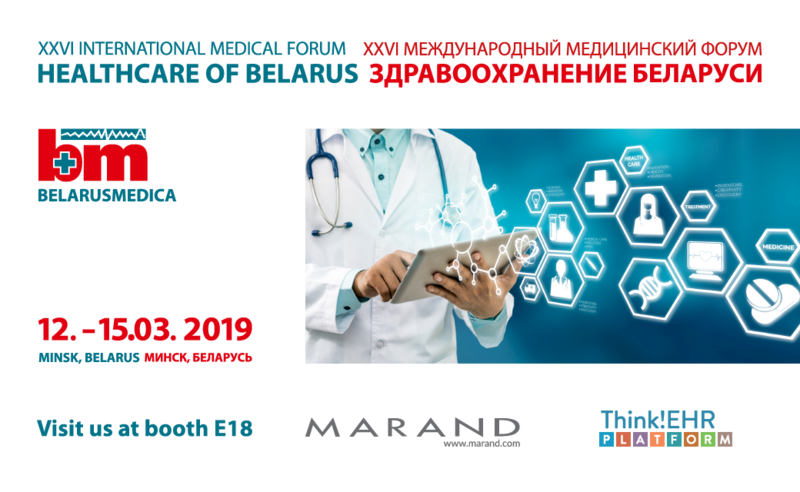 Better by Marand will be participating in this year's edition of Belarus Medica, which will be held in Minsk from 12 to 15 March 2019, to showcase and discuss the health data platform Better Platform™. Belarus Medica is the largest medical exhibition in Belarus covering all major branches of medicine. You can visit Marand's team of experts at booth E18, where we will be showcasing our health data Better Platform™ and discussing our reference projects. At the plenary part of the event, you can listen to Samo Drnovšek, Better Platform™ Presales and Delivery Manager, who will give a presentation (12 March, 15.10 at Conference Hall) entitled Better Platform™ as a key component of national eHealth systems. The use cases to be presented include a structured and standards-based clinical data repository for centralised EHR for the City of Moscow, and the Slovenian interoperability backbone – the national infrastructure for exchanging and storing clinical documents and structured health data. Better by Marand’s vision for healthcare IT is coined as "Integrate. Open. Innovate." The Better Platform™ is well aligned with this vision as it uses IHE-based standards to integrate the existing devices, systems and data. By storing data in an open, vendor-neutral format, it enables vendors' ecosystems to innovate. This approach is fuelling next-generation solutions known as the Postmodern EHR. The Better Platform™ is a health data platform designed for real-time, transactional health data storage, query, retrieval and exchange based on vendor-neutral open data standards including IHE and openEHR.